The Anderson, just a few steps from the Centrale railway station, is woven into the fabric of Milano’s fashion scene. 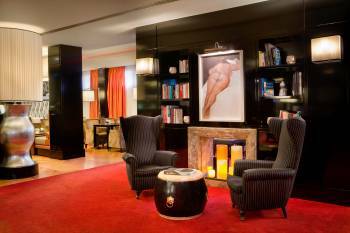 With its metropolitan lounge and cosmopolitan atmosphere, it’s a favorite with many of the country’s leading designers. Each one of the 106 rooms has been carefully designed to fuse style and substance: tactile materials, minimalist interiors, artful splashes of color. Once you’ve savored this sanctuary, the Anderson is well placed for exploring the city’s historic center, boutiques, the Galleria shopping mall and Navigli disctrict.